If you saw Fritz the Cat, then you're probably searching for more of the same. 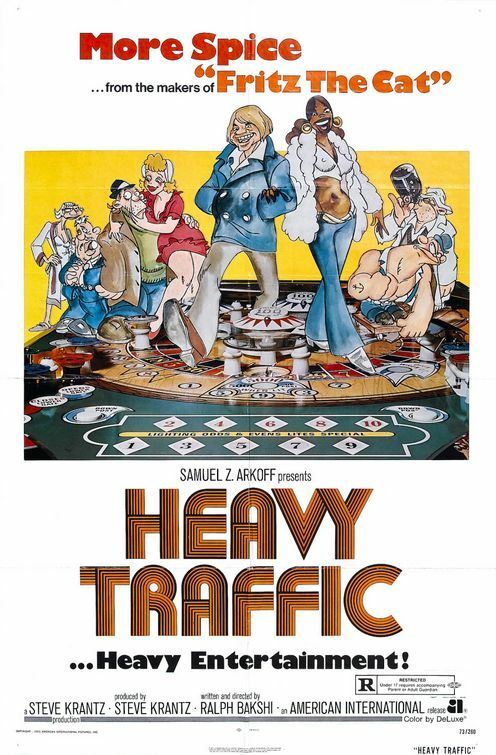 Don't bother with the sequel though, check out Heavy Traffic instead. It's not the same characters, and in no way connected to the life of Fritz, but it is by the same director and thus in the same style. Pimps and hoes, limbless hobos and day drifting street people float around in gritty city, chasing highs and playing pinball. 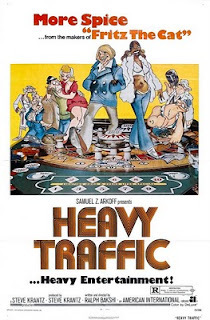 The film is very raw and real, and director Ralph Bakshi's exploration of mixing cartoons and live action film, is much better than his later attempt with Cool World, and the adult approach to the medium gives a film that might even rival Who Framed Roger Rabbit. I could never quite get into Wizards. Was it perhaps aimed a bit more towards children? Possibly...I saw it in college at a midnite movie theatre in a state of altered awareness.